Hey Y'all! Thanks so much for all the support over the last few years! I've been working with Coach Björn Ossenbrink on a new website, and I'll be using that website to keep all you awesome folks updated on my general shenanigans here on out! You can check it out at http://nathankillam.com !! Happy training, and stay safe out there! In 2010, my third year of triathlon, I went down to Lake San Antonio to race the legendary Wildflower Triathlon (olympic distance). 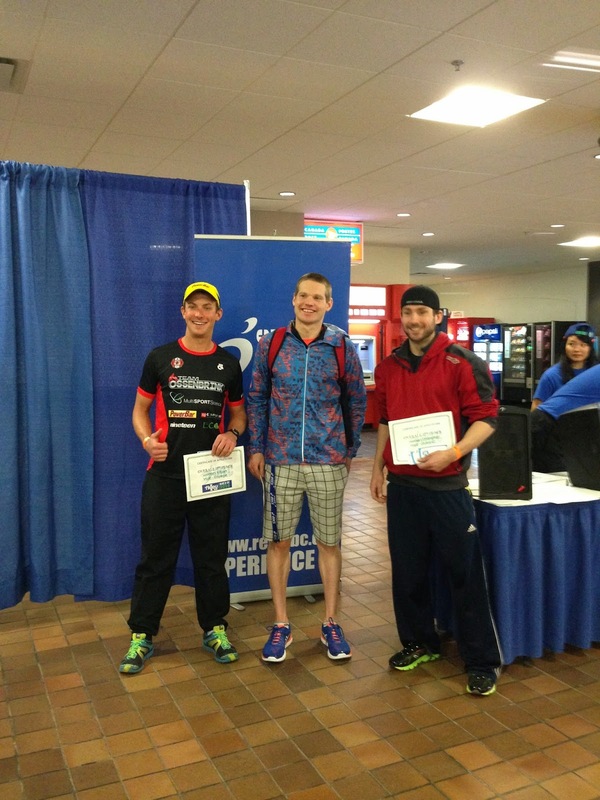 I had a great race, and it was one of the most exciting race venues I've attended. 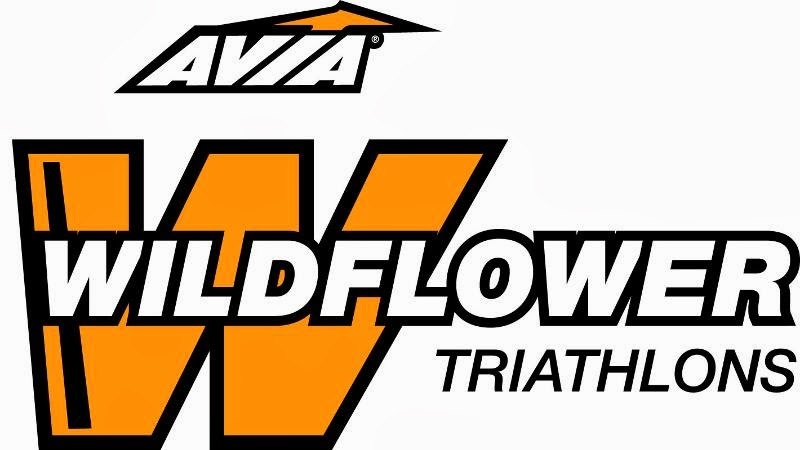 After a good stint of training in Tucson this February, I decided that perhaps this year was the year to go back and take on the half iron distance race at Wildflower. 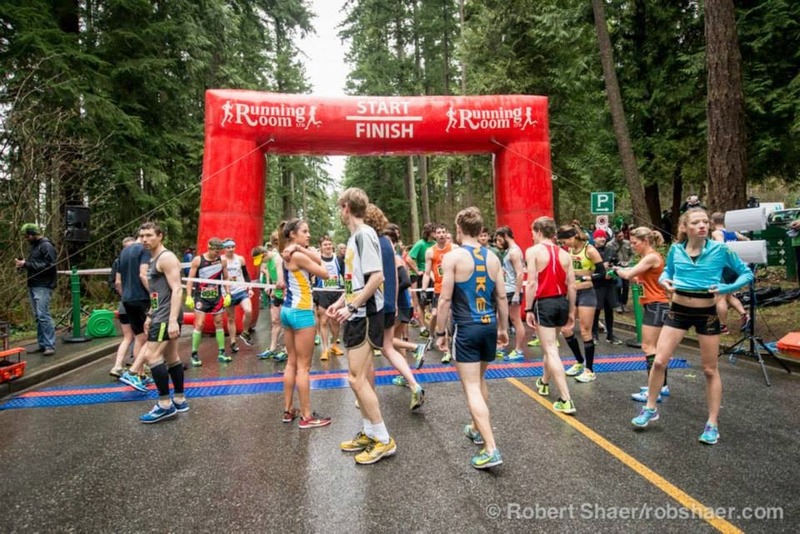 With race day creeping up fairly quickly (May 3rd,) I decided to make March a solid month of local short distance races, to try and 'race my way to fitness' as they call it. Some fairly short, it was a painful three weeks of racing, with some eye opening experience and some positive take-home messages, I came out the other end with an idea where I need to focus my energy to perform the best I can in May. Race number one also happened to be my first Olympic distance triathlon I ever raced in, the UBC Triathlon. As I now live about 10 minutes from the race start, it was an easy decision to race. Along with the close location, there also happened to be some friends racing in the front-end of the field, which made it a much more exciting day (Jeff Symonds, Nathan Champness, Chris Young, and Brendan Naef.) I showed up to the race start only one week removed from the first big training camp of the year (three weeks in Tucson,) still holding on to some deep-set fatigue, and nary 3 speed sessions since October. I knew the race wouldn't be pretty, but it would give me a good day to shake out the cobwebs. I started the swim (1500m TT style start, 10 seconds apart,) just behind Symonds, knowing that he would most likely shake-and-bake from the gun and it would be a matter of trying to ride back to him. This race is done in a long course pool, so I decided to wear my Champion System one-piece race suit, so I wouldn't have to worry about trying to get a top on or anything messy like that. Sure enough, Jeff was off like a rocket. Halfway through the swim, another swimmer made her way from a few competitors back to me, and I managed to snag a free ride the second half of the swim. Coming out of the pool for the long 400m transition run, I came to my new Quintana Roo and was ready for some action. Unfortunately, my legs just didn't seem to show up on the day. I couldn't push much wattage, and the fatigue kept me stuck in 3rd gear the whole ride. I didn't lose too much time on the bike, pulling in a sub 1hr ride, but Jeff put another 45 seconds into me, and Champness came from God-knows-where and punched a big lead into me. When he came by, I was sure he was turning 60RPM, and he just smashed through the bike in 56 minutes. One of the thoughts in the front of my mind the whole time was "boy, are my toes ever toasty!" A trick I use for cold weather racing is to wear toe covers on my cycling shoes, and put hand warmers (Lil' Hotties, Hot Paws, etc,) under the toe covers. Works like a charm! Photo Credit Björn Ossenbrink. Keed your aerobars warm when it's cold! Onto the run, I ran as fast as I could turn my legs over, but as most people who haven't done speed work know, you just can't pull a fast run out of nowhere. I brought myself very close to Champness, but halfway through I just hit a plateau, and couldn't catch him. 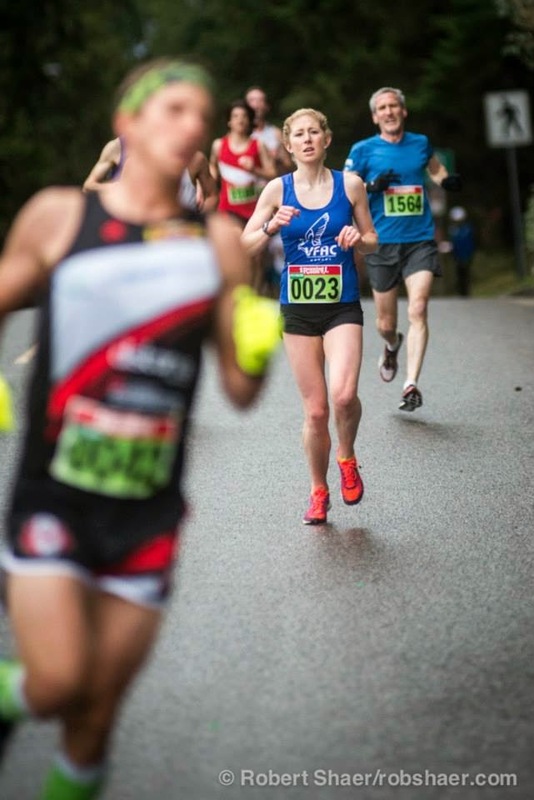 The weekend after UBC Triathlon, I did the St Patrick's Day 5k in Stanley Park, a fantastic local race that puts on quite the show, and attracts a bloody fast field. I hit my top gear right from the start, and although it seemed the whole field was running away form me, I was able to stay strong and slowly reel back a large number of competitors. Halfway through the race, I remember a guy in front of me wearing incredibly short (and tight) green booty shorts, and all I could think was "no matter what, you can't lose to this guy." I managed to run just under 17 minutes, that put me in 46th overall. It was a far cry from my 2011 performance of 15:58, but this was a new course, and I was lacking any speed work. The race pretty much shattered my calves (which were still suffering from the previous weekend,) and I was hurting for quite a few days post-race. Where's Waldo? Photo Credits Robert Shaer. 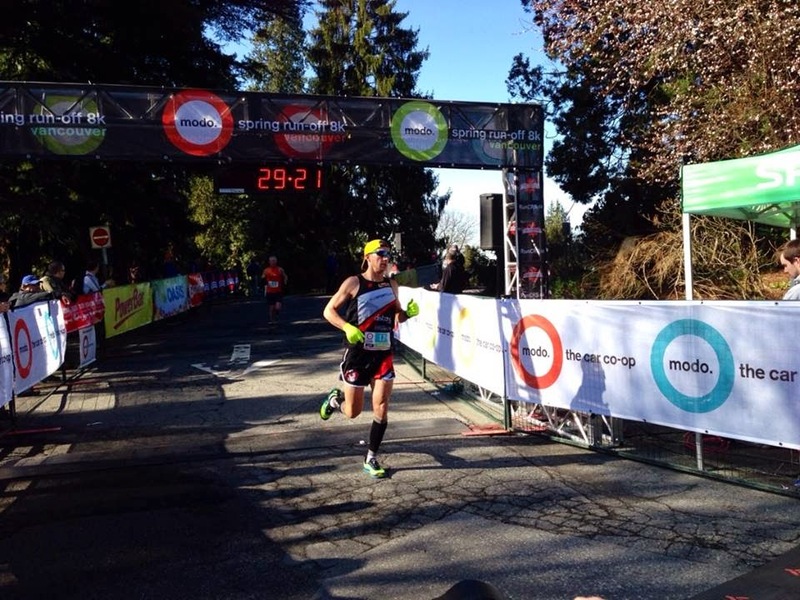 Finally, this past weekend, I competed in the Modo Spring Run-off 8k, once again in Stanley Park. This race circumvented the park via the seawall, and although not quite the same size in participants, it was a really well run race, and the weather couldn't have been better. I went in to this race with already sore calves and legs, and after about 3km, the legs just started to shut down. It's a crappy feeling, but I just kept going as best I could. I mean, the sun was shining, and I was breathing, so in reality, everything was going to be okay. We can't always be 'ON,' and have to take the bad days in stride. I ran my slowest 8k that I can remember, finishing out in 28th spot, in just over 29 minutes. 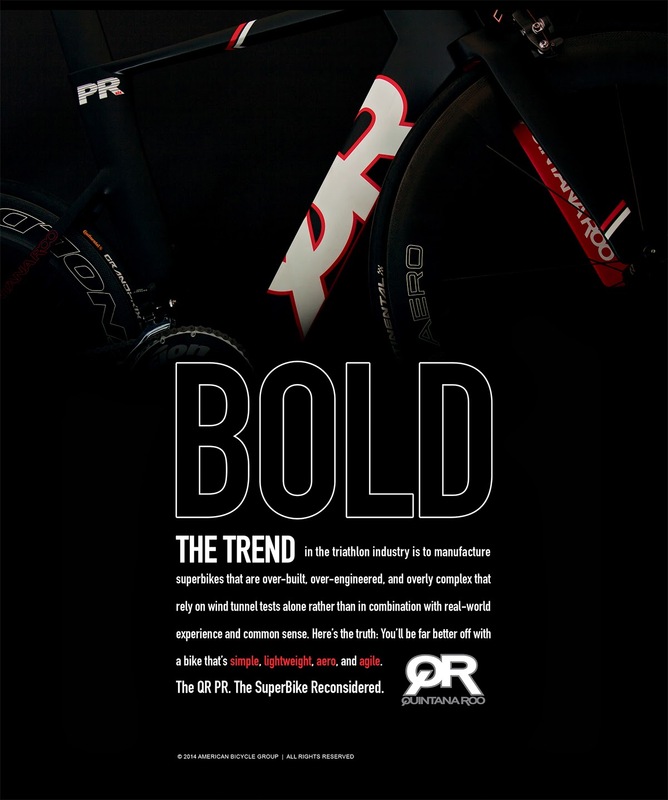 After some early season volume, the focus now will be gaining back some top-end power and speed leading in to the Wildflower Triathlon. It sounds like I may have the company of some teammates racing, which will make it an even more exciting and fun experience. In just over a week, Jenn and I leave for Tucson yet again, to spend 12 days training hard in the sun. It'll be a shorter than usual trip, but with the focus on intensity, it'll be a burner for sure. 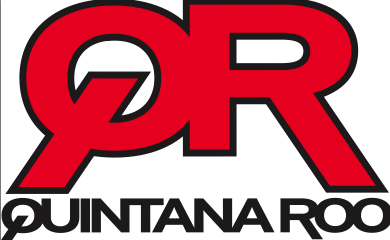 On a side note, Quintana Roo is about to unveil a BRAND NEW BIKE tomorrow, and I'm dying to find out what it'll be. I'll be looking forward to trying it out, so stay tuned to see what rolls out!!! 2014 started off with a BANG, spending 3 weeks in Tucson to build up some early season fitness. This year my main focus races are the Challenge Atlantic City and Challenge Penticton iron distance races, interspersed with other shorter triathlons and running races to fine tune my performances. I will also be working with my support network closely to get the most out of 2014, and have as much damn fun as possible while doing it.